Nikon Z7 is now in stock at Adorama | B&H | Amazon. You can post your Nikon Z questions in the Nikon Z Facebook Group or in the NikonRumorsForum. Additional Nikon Z information is being posted on a regular basis at the Nikon Z Facebook page. 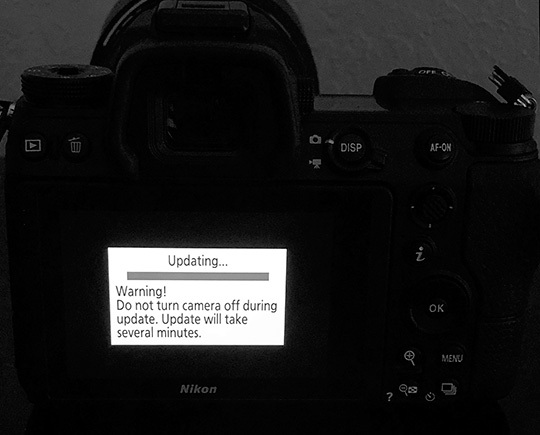 This entry was posted in Nikon Mirrorless Camera, Nikon Z7 and tagged Firmware updates, Nikon Z7 firmware update. Bookmark the permalink. Trackbacks are closed, but you can post a comment.